"Ever wondered what your tattoo looks like from the inside? 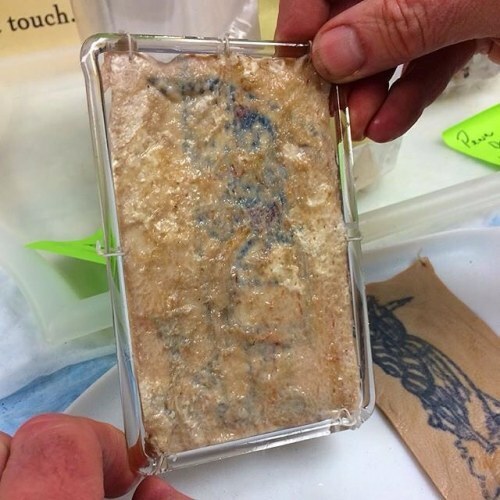 While getting our wet specimens ready for exhibit in our new permanent exhibit "Our Finest Clothing, a Layered History of our Skin", we discovered that one of the tattoos was not just black line as we had previously thought, but rather had had red ink used as well. Can you guess which tattoo it is from the display? #muttermuseum #ourfinestclothing #tattoo #wetspecimen #skin #justanothermutterday 📷: @themuttercurator" By muttermuseum on Instagram.